Folded 11 x 17 Flyer Brochures are a timeless and effective medium for advertising, marketing, and promotions. Folded Flyer Brochures allow companies, organizations, individuals, and nonprofit organizations to get their message across in a one-page document that is compact, easy to follow, and neatly packaged. Custom-printed folded brochures are an effective way to promote a business or organization and versatile to be used in a variety of ways: prospective client direct mail; promotion for tradeshows and events; community events; important meetings; company profiles; service lists; presentation leave-behinds; target audience information; fund-raisers; school functions; home businesses; retail services; menus – the possibilities are endless. 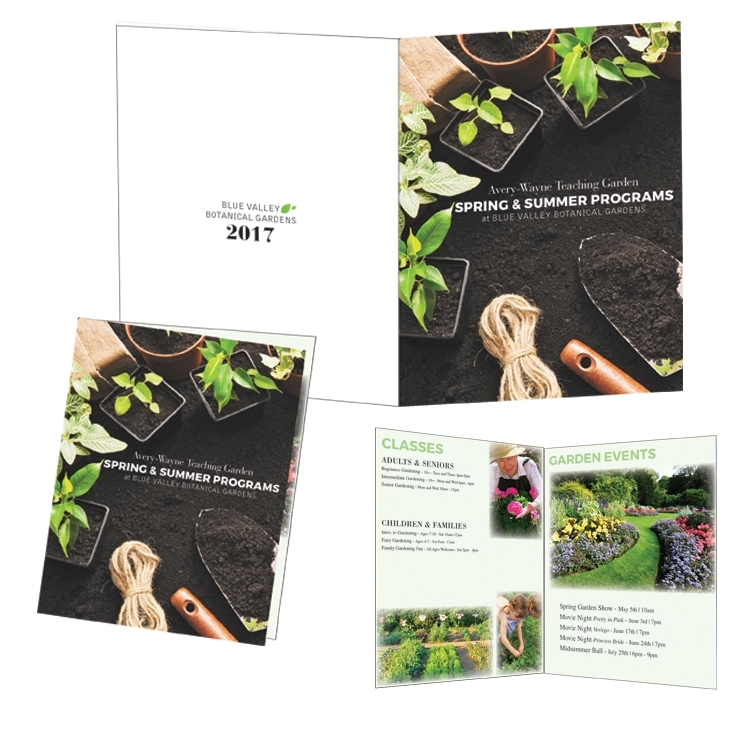 Folded brochures can effectively deliver your message to a captive audience. 11 x 17 Tabloid Size, printed on 4 point (80 lb.) gloss text in full-color on both sides, and folded. Price includes printing in full-color (full color process) on both sides, folding. Printed on 80 lb. Gloss text. Pantone color matches, metallic or fluorescent colors cannot be printed in full-color (four color process).